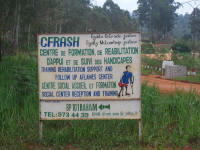 The Center of Formation, Rehabilitation, Support and Follow-up of Handicapped (in French, the abbreviation is CFRASH) is a private humanitarian association located in the village of Baham in the West Province of Cameroon in central Africa. Established in 1995 per Mr. Zacharie Pokam to satisfy the needs of the handicapped people in his village and surrounding areas, the Center receives donations from individuals, community groups, and churches. Currently, 15 disabled youths live at the Center, and a staff of 5 provides vocational, educational, medical, and other services to the residents. 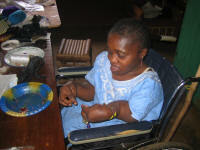 The objective is to bring the disabled to develop their intellectual, moral, professional, and physical capabilities. A significant part of the income of the center is produced by the various agricultural and handicraft work that the residents perform. Neither the residents nor their families pay the money to live in the center and the government of Cameroon offers no support. If you can help us, click here or send an email to the Center (cfrash2005@yahoo.fr). (French is preferred for emails, but we should be able to your understand English. :)) Thank you very much! 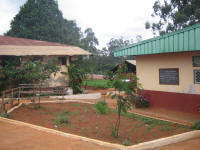 Residents are encouraged to go to the school next to the Center. Those which cannot go to this school are taught by the resident teacher of the Center. The Center also has a small library for the use of students. We have two computers, where the residents can learn how to type, in the hopes that one day finding secretarial work. Boarders are trained in practical skills in the Center in addition to the more traditional subjects (English, French, Math, History, and Science.) The Center has three workshops. 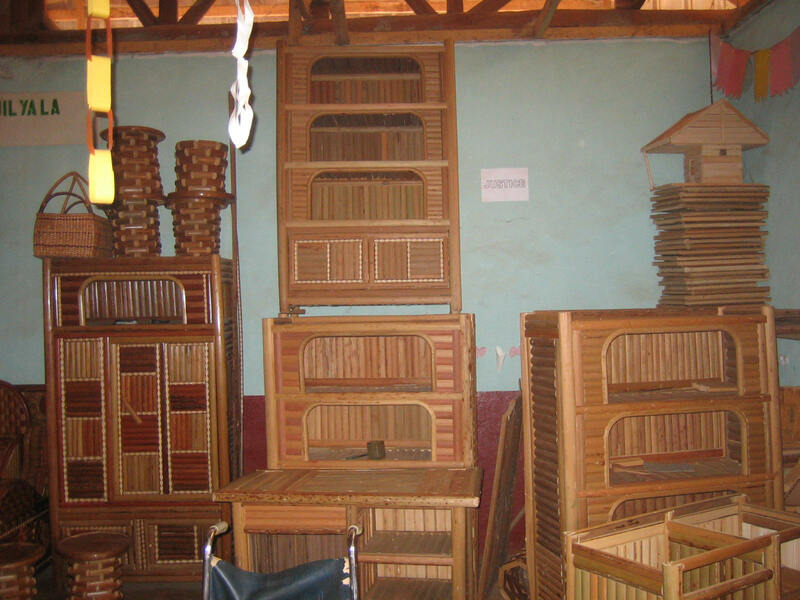 The first gives residents the opportunity to learn how to work with the bamboo and other wood to make pieces of furniture. 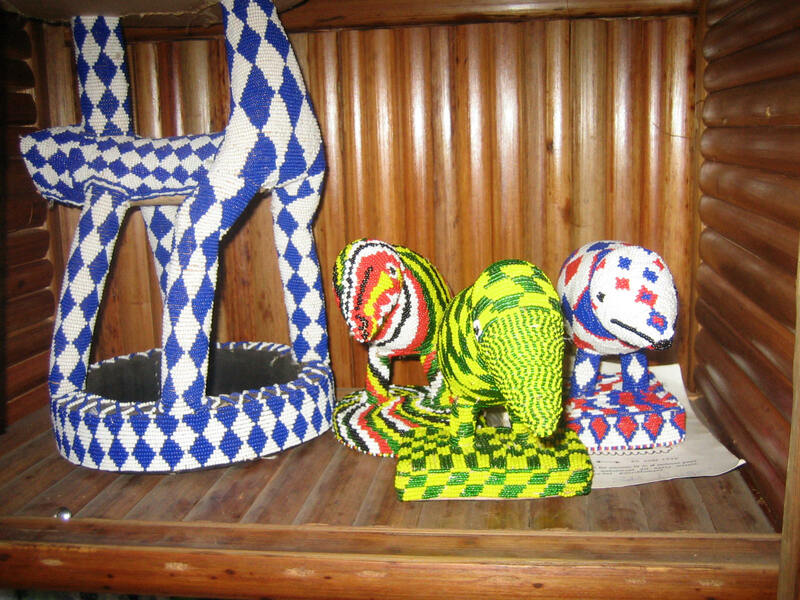 The other workshop specializes in arts and the crafts, with residents learning how to make traditional jewelry, to sew, and to make traditional Cameroonian art. The third workshop focuses on agriculture and medicinal plants. 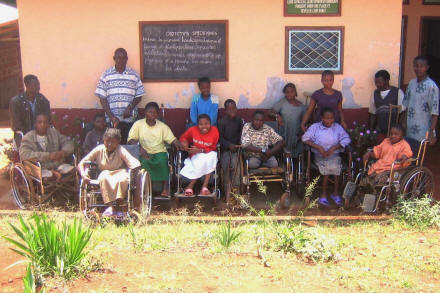 To date the CFRASH has already trained 65 handicapped youths, of whom, 6 obtained the Certificate of Primary Study (CEP). Many residents continue in secondary school, with many others working as artists or carpenters. 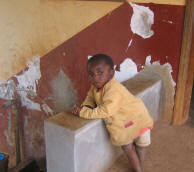 Several of our residents have been able to earn enough money to pay for the school fees of their younger siblings. 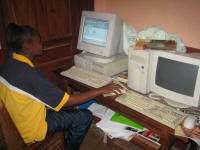 The center is engaged in many activities to generate the resources necessary to feed, dress, and educate the residents. 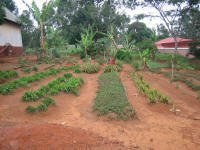 The Center has a farm and a medicinal plant garden which we cultivate for the use of the Center. 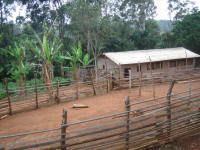 Sheep, cane rats, rabbits, and goats are also raised to feed and dress the residents. Moreover, bees are raised for honey, which is consumed by residents and also sold to local merchants. Moreover, the pieces of furniture, jewelry, and art produced in the workshops are sold to local retailers. Moreover, the elites of the village and community groups give donations. All the donations, monetary or material, are welcome. If you can help us, click here or send an email has the Center (cfrash2005@yahoo.fr).